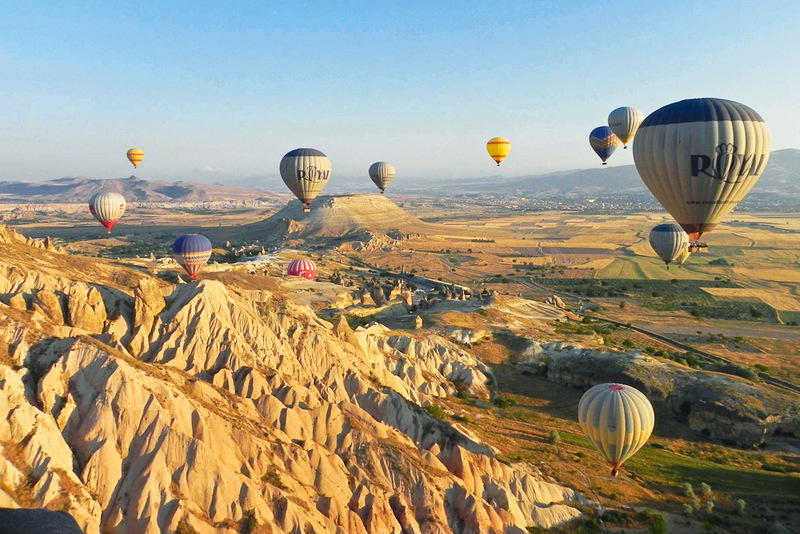 Hot air balloon ride over Cappadocia, Turkey, ranked #81 in our countdown of '100 Ultimate Travel Experiences of a Lifetime'. Ranked #81 in our countdown of ‘100 Ultimate Travel Experiences of a Lifetime’. Turkey makes the list again: the region of Cappadocia, located in the heart of Anatolia, is a riot of amazing natural beauty and compelling history. 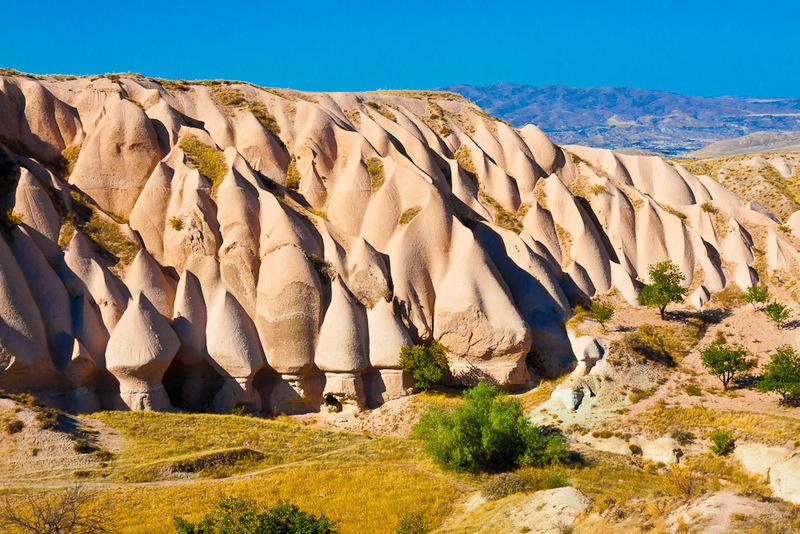 With its whimsical Fairy Chimney rock formations and iconic cave houses at Urgup, Goreme, Guzelyurt and Uchisar, the whole area looks like the set from a Hobbit movie. 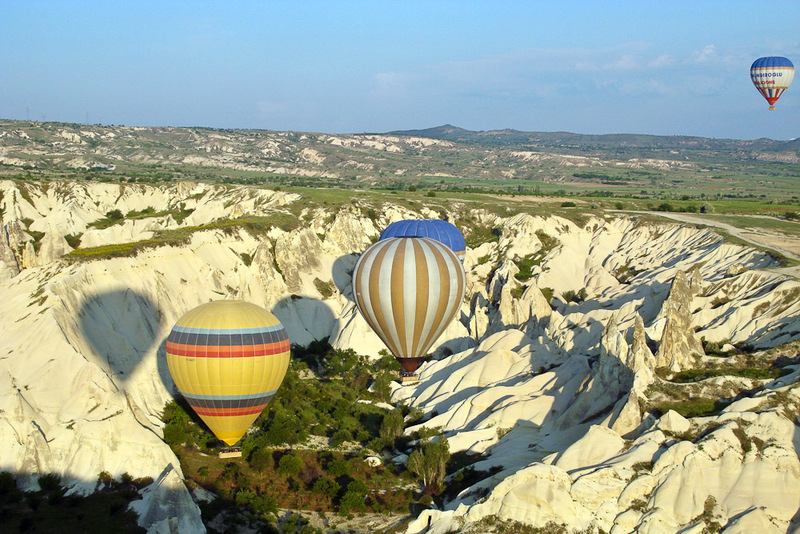 And one of the most popular ways to consume the landscape is by hot air balloon. Each morning the clear dawn skies are peppered with colourful, bulging balloons that float silently above the spectacular scenery below for about an hour, before putting down in the middle of it all for a spot of breakfast (champagne optional!). 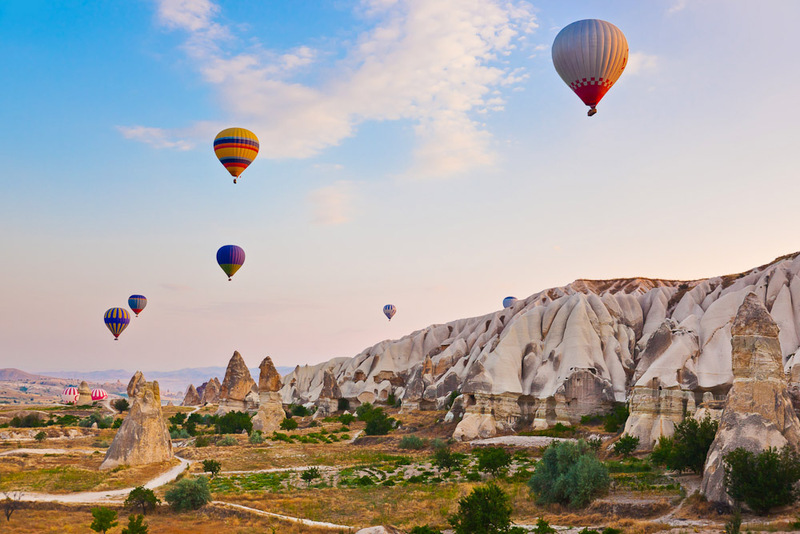 Start planning your Turkish escape at expedia.com.au.